Home Basketball McGrady: "That Doncic has more votes than Curry is disrespectful"
McGrady: "That Doncic has more votes than Curry is disrespectful"
The mythical former player disagrees with the fact that the Slovenian exceeds Curry, Durant or Harden in the All Star list. Despite this, consider that you should go. The popular vote for the next All Star, a match that will be held on February 17, leaves no one indifferent. The last to show his opinion in public was Tracy McGrady. 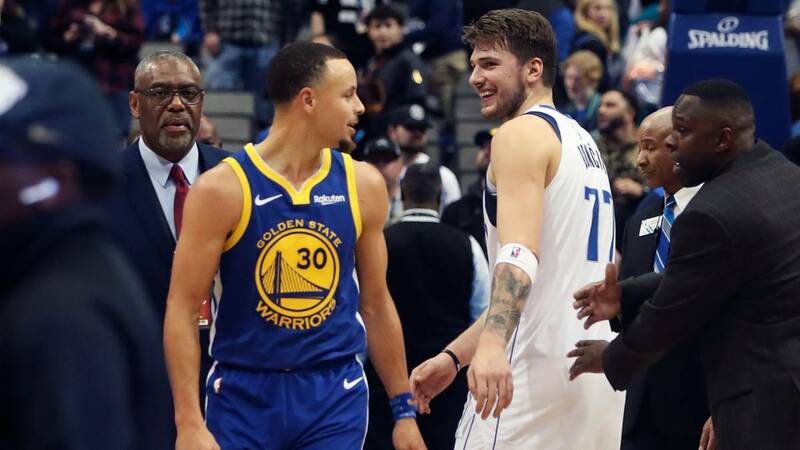 The mythical former player did not understand how Luka Doncic outnumbered other big stars, highlighting Stephen Curry. "This vote is disrespectful at all levels. It is not only disrespectful to the player (Curry) who has changed the era of basketball. Luka Doncic has had more votes than Stephen Curry, Kevin Durant or James Harden. Are you kidding? ", McGrady said in the The Jump program on ESPN. In spite of this, he did not rest on Slovenian merit and acknowledged that he deserved to be in this match. The truth is that Luka Doncic is the third player in the NBA most voted by the public to attend the game of the stars. It is the second most voted in the West after LeBron James, and the third of the entire NBA with Giannis Antetokounmpo just ahead. His presence in the starting line-up of the West does not influence Stephen Curry, which also appears among the initials. A who would harm would be players like Kevin Durant or James Harden, two of the best in the world who, according to the public vote, would start the match of the stars on the bench.